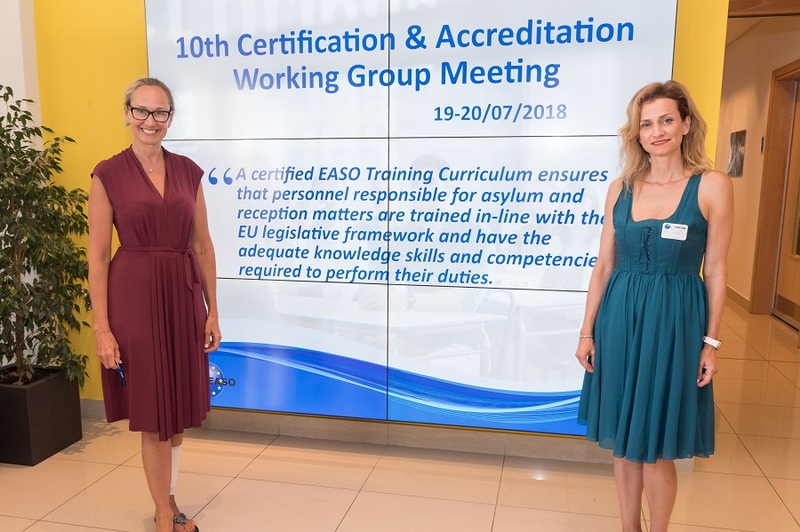 The work on occupational standards has its foundation in the learning-outcomes-based approach of EASO’s training curriculum. The curriculum has been designed to provide common vocational training for employees of the Immigration and Asylum Services in the EU+ Member States to achieve a harmonised implementation of the common European asylum system (CEAS). Cedefop expert Anastasia Pouliou presented the historical development of learning outcomes with a focus on the approach’s different purposes and the unpacking of occupational standards. The CAWG was established in 2015 and played a key role in the development of the EASO training curriculum certification. A mapping exercise of job profiles and tasks for asylum officials has already been initiated between the Member States and EASO (following an inclusive step-by-step approach). Participants acknowledged the usefulness of Cedefop’s European handbook on learning outcomes and the extensive research carried out by the agency in this area.